1. The problem of conveying the pressed product of the ball press. The materials pressed by the ball press machine are convenient for transportation and storage of the enterprise, effectively improving the utilization rate of waste, and bringing good economic and social benefits to large, medium and small enterprises. Therefore, it is widely used in various ball powder molding, such as iron powder, mineral powder, iron oxide scale, steel slag, and refractory materials. 2, the pressure ball machine processing technology is good or bad. Judging whether the processing technology of the ball press machine is good or bad, we must observe from the aspects of the material of the ball press machine, the motor configuration of the ball press machine, the quality of the press roll, and the welding technology of each part. Although the ball press machine concentrates on the advantages of various ball presses such as ball presses and briquette presses, it is necessary to purchase high-quality ball presses to perform their functions. Here, Kewei Machinery Factory presses the ball machine equipment research and development, the production staff reminds the purchase of users, must pay attention to the ball press processing technology when purchasing the ball press machine. 3, the pressure ball machine manufacturer size and ability to solve the problem pressure ball machine pressure roller -. The most wearable parts are made of MN13 or above and the pressure roller of the small factory is basically not up to the MN13 standard. 4, the life of the ball machine accessory equipment problem motor and reducer -. It is the transmission part of the ball press. The motor must be copper core. Otherwise, the pressing strength of the finished product will not meet the standard requirements. The reducer must find the reducer produced by the regular manufacturer. The outer casing and speed ratio of the reducer are the most important. 5. After the ball press equipment is purchased, you can enter the commissioning phase. At this time, you have to consider whether the material to be pressed needs binder, what the pressing strength should meet, how the finished product is handled, how to reduce the damage rate of the product, and so on. With these issues in mind, you can safely produce, and there are very few problems in the middle of the operation of the ball press equipment. If the material you want to suppress is lignite, coal powder, iron powder, coking coal, aluminum powder, iron filings, iron oxide scale, carbon powder, carbon powder, slag, gypsum, tailings, sludge, kaolin, activated carbon, coke, etc. Powders, powders, waste, waste, and so on. 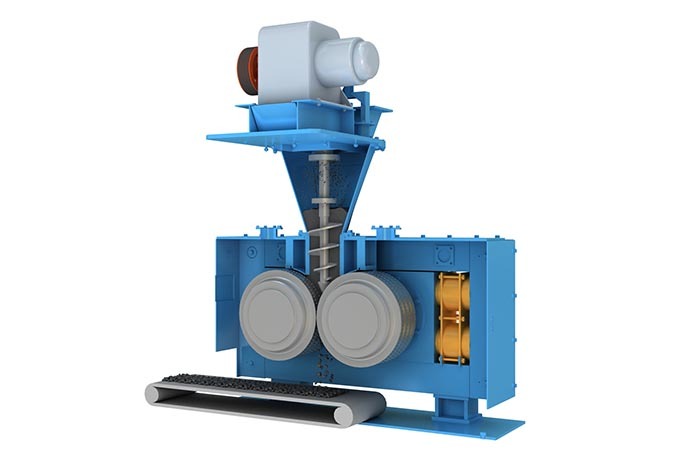 Then you should choose high pressure briquetting machines, or metal briquetting machines, which are widely used in refractory materials, power plants, metallurgy, chemical, energy, transportation, heating and other industries. The materials produced by the briquetting machine are energy-saving and environmentally friendly. Transportation has improved the utilization rate of waste materials and has good economic and social benefits.